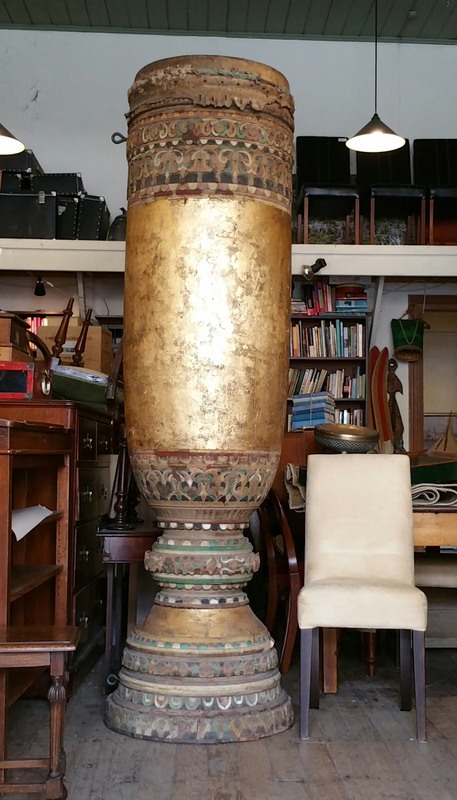 A massive religious drum for ceremonial purposes mesuring one metre in diametre and standing 2.4 metres high. Gilt painted body and polychrome carving indicate an age of approx 100 to 150 years. Has been recently professionally valued at $4000 to $6000. But say $1900. 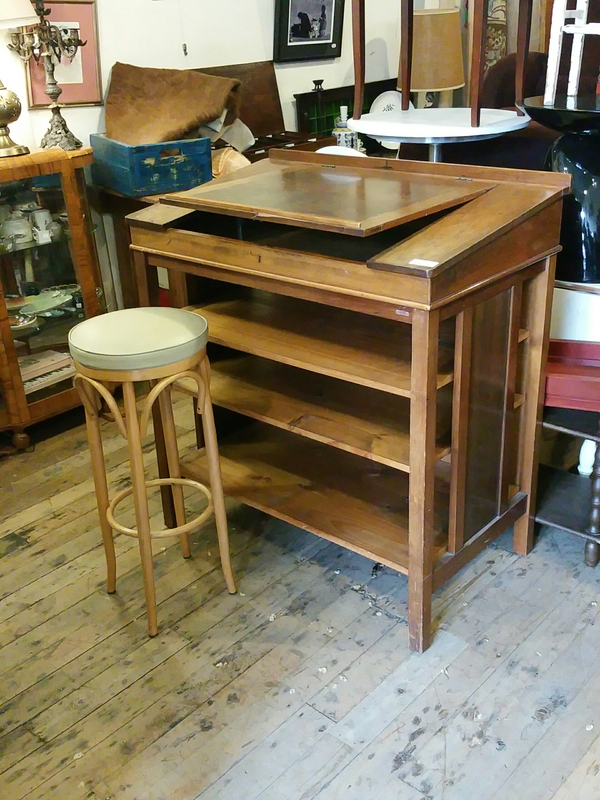 From the 1920’s an architect’s or artist’s table with an inclined top and storage compartment immediately beneath. And underneath that three further shelves for paper stock or finished works. 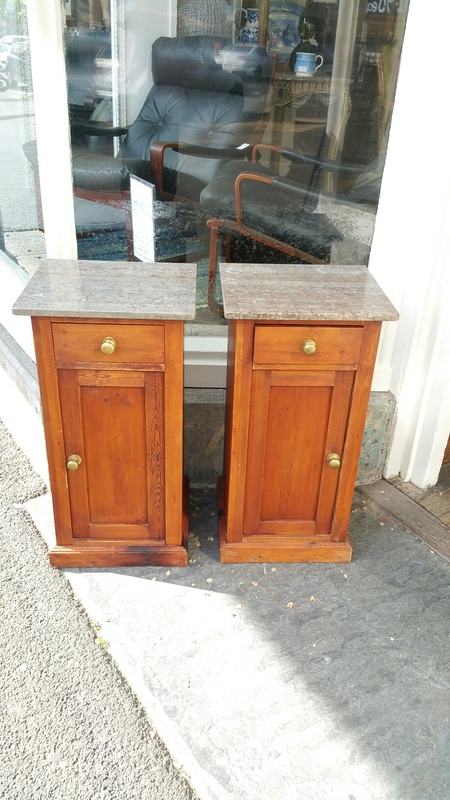 A pair of reproduction bedsides tables with marble tops $390.